No series on the issues facing family farms is complete without mention of succession. Farmers may grow tired of being told about the importance of planning how the business will evolve in the next 10, 25 or 50 years, yet the simple reality is that not enough of them are doing it. Without question, a poor approach to succession planning has the potential to create one of the most inflammatory situations to take place on a family farm. But done well it can cement the role and security of generations of farmers, both those who are stepping back and those stepping up. Louise Speke, the CLA’s chief tax adviser, leads on succession for the organisation. She says the key issue is often not whether succession is discussed, but that it is left too late. A key contributing factor to the issue being left too late is the stigma surrounding the topic, and whose duty it is to raise the need to tackle it. Understandably, older generations can feel like they are being pushed out if it is instigated by their siblings. Similarly, the younger generation may feel they are being told what is going to happen, rather than being an active participant in any future plans. Mrs Speke says: “The common theme we see in our workshops, where we invite those who can share positive experiences of succession, is that the conversations take place away from the kitchen table. Advisers play an important role. Lawyers, accountants and land agents all have a part to play in creating a strong succession plan which is written down and reviewed regularly. The documents they help create will present the case for how the business is run, and should stand up to scrutiny should HMRC decide to investigate how assets have been transferred. Mrs Speke adds: “A written partnership agreement is a key document. Documents provide certainty and wills should reflect the partnership agreement to deal with the estate post-death and show who is getting what. What needs to be discussed when it comes to succession? The conversation should begin with each party outlining what it is they want or need from the business. Some of this may be obvious, but family members may have decided they want different things from their careers, or indeed their retirement, and this has a big influence on how the situation progresses. Who legally owns land, machinery, stock, farmhouse, etc? What role does everyone play in the business and what role would they like to play in future? Some farmers who have tackled succession early talk openly about what is currently stated in wills. In the event of death, who will be passed the assets? What is the long-term plan for the business as it stands today? Do family members share the same vision or do they have new ideas they want to implement? Investing for the future of the farm and improving the welfare of their cows were key priorities for family farming partnership the Kidds, near Lancaster. David Kidd got more involved in the farm 10 years ago, after his father bought his brother out of the farm. David says: “It is a family partnership. It is my mum, my dad, my brother and me. My brother does most of the milking, I am feeding cows and some of the calves. My mum helps with the calves. David says they have tried to invest in things which could save time and make the business more efficient. The family first invested in a new parlour, then improved cubicle housing and a new calf building to save time and improve welfare. They were the first UK farm to install a new Volac computerised calf feeder, which incorporates automatic teat cleaning with disinfection after every calf has had a feed and a host of other innovative features to help them rear youngstock more efficiently. David says: “We put computerised calf feeders in because we thought bucket feeding was labour intensive.” They offer full WiFi connectivity to allow remote access on and off the farm and have a central computer which runs both feeders, so you can look at one screen and see how all calves are doing. Futureproof David says they were not looking to expand with their new investments, but to futureproof the business and improve the welfare of cows. He says: “Going forward, investments will be anything to save us time. We do not really see ourselves getting much bigger, this is about the size we can manage with the staff we have.” While the family is currently farming together, David and his brother Neil are taking on more duties ready for their father to retire. David says: “Most of the decisions are taken by all of us together. Eventually, Neil and I will make more of the big decisions.” His brother is also building a house on-farm, so he is around for any night calvings. Succession is ultimately about ensuring the future viability of a business and clarity for those involved in it. Finances have a huge part to play, and proper planning will avoid the business being hit with a large tax bill in the event of death or a transfer of assets. Inheritance Tax (IHT): Agricultural property relief and business property relief is available to reduce IHT, possibly to zero, on qualifying assets. Capital Gains Tax: Relief can be claimed on qualifying agricultural and business assets and gifts into certain types of trust. Stamp Duty Land Tax/Land Transaction Tax (in Wales): Stamp duty can be due even if land has been gifted to a family member; if they are taking on the responsibility for a mortgage on the land, a stamp duty charge will be due. 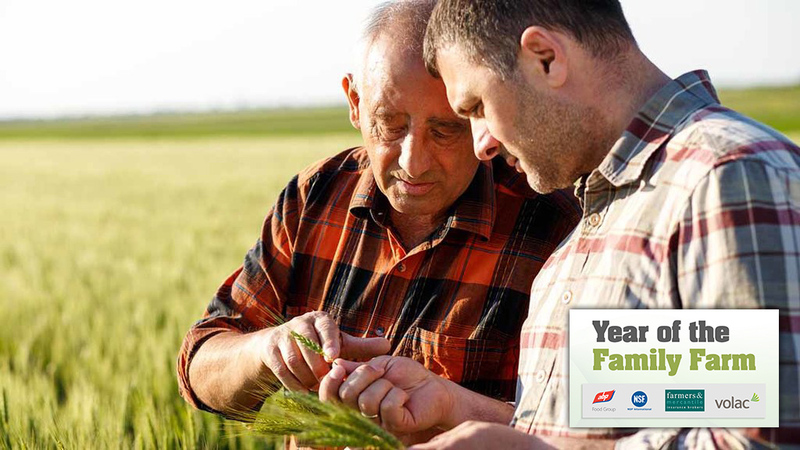 FOR family farms, it is never too early to start planning for succession. An effective succession plan may take many years to implement and, in many cases, will change as families and farm businesses grow and develop. Farm succession planning is the process of formally transitioning management and ownership of an agricultural business from one generation to the next. There is no ‘off-the-shelf’ plan available which suits all families, so this means you have to go through a process to come up with the right approach for your farm. Good communication is at the heart of any good succession plan. When formulating any good communication plan, one of the first steps is to pinpoint and understand your key target audiences. Within a family, this means identifying all parties to the succession plan (including both on-farm and off-farm family members) and exploring their life goals, interests, motivations, and concerns. Or, in other words, simply talk to each other. The second step is to collate all asset ownership information across the family before organising a meeting with a trusted adviser with experience of effective farm succession planning. This meeting will help identify important relationships, goals and any potential issues which may stand in the way of implementing a flexible and successful plan. Too many farms fail to address this fundamental planning issue, but if you bury your head in the sand, you will only store a whole host of problems for the future. Having to address legal, tax and family relationship issues after the death of a much-loved older family member is hard enough, but without a clear succession plan in place, what may have been a highly successful farm business can easily disintegrate around squabbling younger relatives. Getting the conversation started is often the hardest step. The mention of succession may creep into conversations, but for everyone involved to grasp its seriousness, it helps for it to be formalised. A professional facilitator can be useful, as bringing in an impartial expert can take the emotion out of initial discussions and steer the direction of the process. Getting off to a good start will encourage members to feel confident and engage positively.